Most smokers are aware that smoking is linked to lung cancer and cardiovascular disease. What they may not know is that tobacco is also linked to periodontal disease. 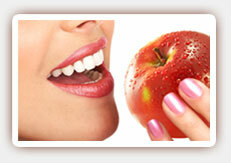 Periodontal disease, or gum disease, is a serious threat to your dental health. It can lead to chronically bad breath, a receding gumline and loose or shifting teeth. As the condition progresses, you may lose teeth and experience bone loss in your jaw. Dr. Bijan Afar, dentist in West Hollywood, encourages his patients who smoke to learn more about the risks to their dental health. According to the American Academy of Periodontology, using tobacco in any form may be one of the biggest risk factors in developing periodontal disease. Smokers are more likely to develop tartar buildup, pockets along their gumlines in which plaque and bacteria can develop, and a loss of the bones and tissues that support the teeth. Biannual dental exams are crucial to diagnosing and treating periodontal disease. However, tobacco use can also worsen gum disease or interfere with periodontal treatments. Smoking can slow the healing process and decrease the effectiveness of treatments. Periodontal disease will progress without adequate treatment, and as teeth are lost, jawbone loss will also occur. Research reveals that more than 40 percent of smokers have no remaining teeth after 65. Although there are other risk factors for periodontal disease, quitting smoking can dramatically reduce your personal risk. Our West Hollywood periodontist, Dr. Afar, can help you understand your options and provide you with a comprehensive dental exam to evaluate your risk. If you have periodontal disease, beginning a treatment regimen immediately is necessary to help you control the deterioration of your dental health. Contact us today to schedule your consultation.